Brazilian tenor Atalla Ayan has quickly established himself as one of the most sought after tenors of his generation. In July of 2011, Ayan made a surprise debut with the Metropolitan Opera, singing five arias in the company’s opening Summer Concert in Central Park on less than 24 hours notice. Allan Kozinn of the New York Times said of his Met debut, “he is a find; he has a warm, rounded tone with a quality that calls to mind the young Placido Domingo.” Ayan has been equally well received at major houses throughout the world, including the Royal Opera House – Covent Garden, Teatro alla Scala in Milan, Grand Théâtre de Genève, and Deutsche Oper Berlin. In the 2016⁄17 season, he sings Alfredo in La Traviata and Christian in Cyrano de Bergerac at the Metropolitan Opera, Alfredo at Covent Garden and the Glyndebourne Festival, Nemorino in L’elisir d’Amore at the Bavarian State Opera, the title role in Faust, Lenski in Eugene Onegin and Ismaele in Nabucco at the Staatstheater Stuttgart, and Rodolfo in La Boheme at the Cologne Opera. Future engagements include three significant debuts: Ayan’s debut at the Paris Opera as Rodolfo, his debut at the San Francisco Opera as Alfredo, and his debut as Des Grieux in Manon at the Cologne Opera. He will also return to Stuttgart as Faust and to Covent Garden as Rodolfo. In the 2015⁄16 season, Ayan sang Nemorino for his debut at the Teatro alla Scala, Rodolfo at the Deutsche Oper Berlin, Hungarian State Opera, Staatstheater Stuttgart and Royal Swedish Opera, Alfredo at the Norwegian National Opera, Il Duca in Rigoletto at Staatstheater Stuttgart, Edgardo in Lucia di Lammermoor at the Cologne Opera, and Ein Sänger in Der Rosenkavalier at the Royal Swedish Opera. His engagements from the 2014⁄15 season included Alfredo at Staatstheater Stuttgart and Festspielhaus Baden-Baden, Ruggero in La Rondine at Deutsche Oper Berlin, Il Duca and Ismaele at Staatstheater Stuttgart, and Rodolfo at Staatstheater Stuttgart, Semperoper Dresden, and for his debut at the Dutch National Opera. 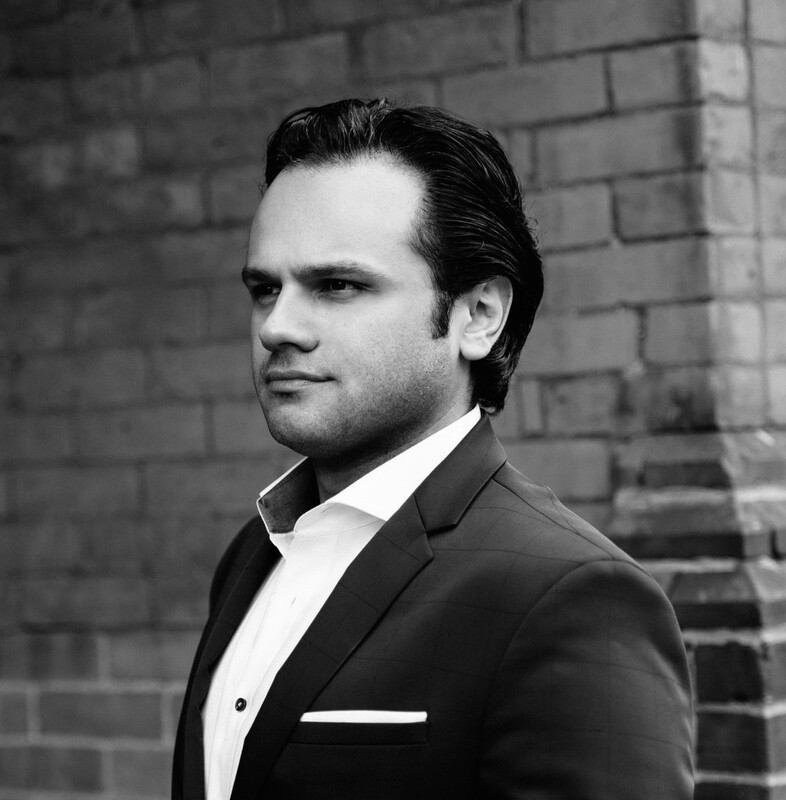 A member of the Stuttgart Opera ensemble since the spring of 2012, Ayan performed as Rodolfo in the new production of La Boheme, Alfredo, Don Ottavio in Don Giovanni, Ismaele, and Fenton in Falstaff during the 2013⁄14 season. In the same season, Ayan returned to Covent Garden as Don Ottavio and made his debut at the Teatro Petruzzelli in Bari as Alfredo. He also performed as Ein Sänger at Semperoper Dresden and as Rodolfo at the Theatro Municipal de Sao Paulo. In June of 2014, Ayan made his debut at the Cologne Opera as Nemorino. He also partnered with Angela Gheorghiu in concerts in Prague, Hamburg and Versailles. In 2013, Ayan made his debut at the Royal Opera House – Covent Garden as Ruggero. Engagements from the 2012⁄13 season also included his first Alfredo in La Traviata, conducted by Fabio Luisi, for his debut at Teatro Carlo Felice in Genova. Ayan also appeared at Staatstheater Stuttgart as Alfred in Die Fledermaus, Tamino in Die Zauberflöte and Ismaele. In September of 2011, Ayan made his debut with the Glyndebourne Touring Opera as Rodolfo in David McVicar’s production of La Boheme. Other engagements from the 2011⁄12 season included Alfred and Don Ottavio at Staatstheater Stuttgart and Ein Sänger at the Grand Théâtre de Geneve. Ayan’s appearances in the 2010⁄11 season included the role of Romeo in Romeo et Juliette at the Theatro Municipal in Sao Paulo opposite Sumi Jo, as well as a duo concert with soprano Nino Machaidze marking the re-opening of the Theatro Municipal in Rio. He also joined Ms. Machaidze that season for a gala concert in Prague and appeared in the Georgian soprano’s first recording for SONY, accompanying her in a scene from La Sonnambula. Ayan also appeared as Rinuccio in Gianni Schicchi at the Teatro Giuseppe Verdi in Trieste and Gastone in La Traviata at the Metropolitan Opera, and he held a duo concert with soprano Nathalie Manfrino in Dublin. Born in Belem in the north of Brazil, Ayan developed his love for singing by listening to recordings of Luciano Pavarotti. As a teenager, he was accepted into the Carlos Gomes Conservatory in his native Belem. He sang his first major role at age 21, appearing as Rinuccio at the Theatro da Paz in Belem. He made his European debut one year later, appearing as Rodolfo in Graham Vick’s production of La Boheme. It was that same year that he joined the Scuola della Opera Italiana in Bologna, where he remained for one season. During his year in Bologna, Ayan appeared at the Teatro Comunale as Ruggero in performances of La Rondine conducted by José Cura. In the 2009⁄10 season, he became a member of the Metropolitan Opera’s Lindemann Young Artists Development program.